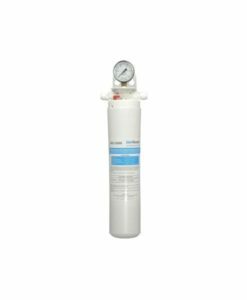 Light Commercial Economy 300 GPD RO system with pressure gauge, Aquatrol pump, 20” filter housings, high quality pre-filters, and TFC reverse osmosis membrane. 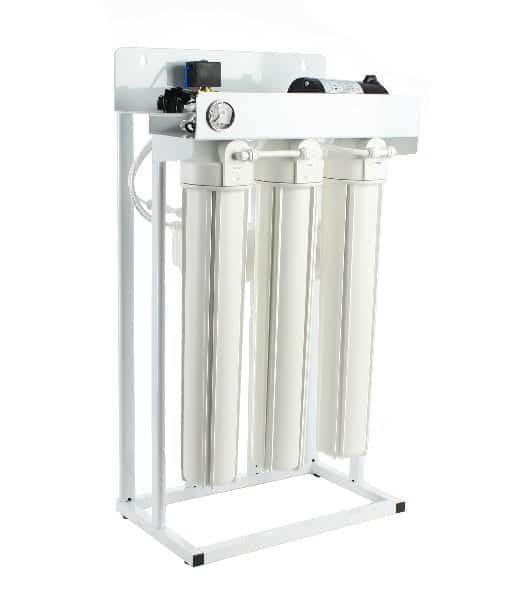 This 300 GPD reverse osmosis system is the perfect light duty commercial RO system. 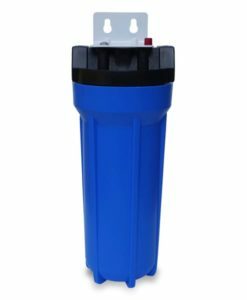 It features a corrosion resistant frame-mount that can be either mounted on the wall or used as a free standing reverse osmosis system. 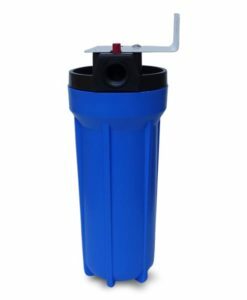 Delivering an impressive 300 gallons of water per day, it is extremely dependable and a great choice for commercial applications such as restaurants, salons, labs, and offices. 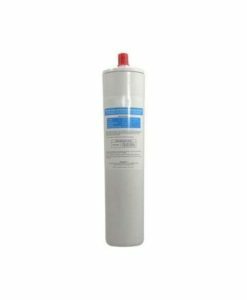 The PS-300G has superior performance rates for removing chlorine, hardness, heavy metals, toxins, and many other water impurities. 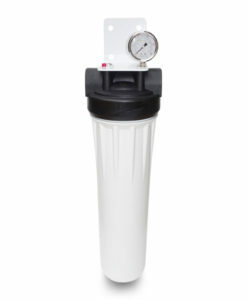 A built in Aquatrol 36V pump increases the production of purified water by raising the water pressure to the optimal level for the reverse osmosis process. 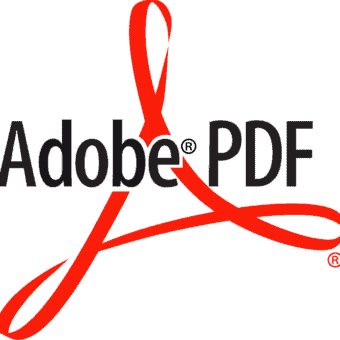 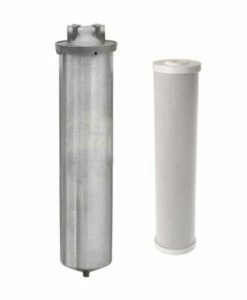 Membrane housing, cartridges, fittings, and tubing are NSF certified. 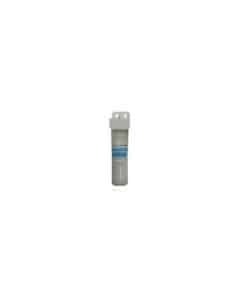 NSF International is a global, independent public health and safety organization. 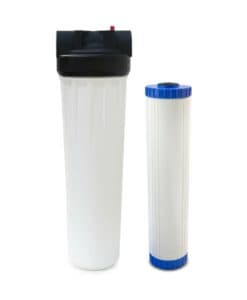 High quality 20 inch water filters provide extended filter life and high capacity. 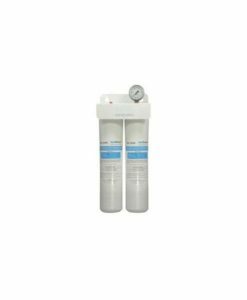 This 300 GPD reverse osmosis system includes a 1 micron sediment water filter, and two 5 micron carbon block water filters that removes chlorine and more. 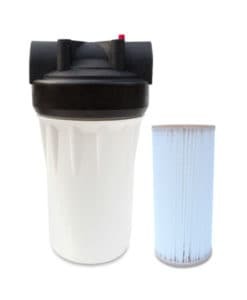 Stage 2 – 5 micron coconut shell carbon block water filter (AMF-CBC20) removes sediment, chlorine, offensive taste and odors, rust, and particulates. 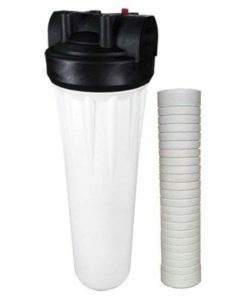 A carbon block water filter provides more contaminant removal than a granular activated carbon filter (GAC filter) which means better tasting water too. 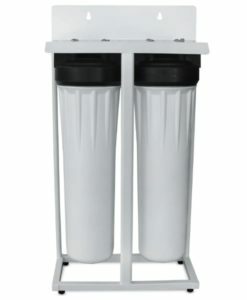 Coconut shell carbon block technology is eco-friendly. 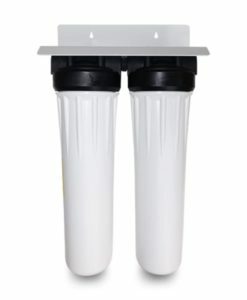 Replace every 6 months.